First and foremost: Happy Holidays to everyone (I hope that most of our readers didn’t get into any brawls or messes during the annual Black Friday shopping hysteria). Now it has been a long while since I’ve written for the site, but then this past Saturday happened and my goodness was it the best night I’ve had in Ptcgo in a long, long, very long time. That night I won multiple games over the span of an hour or so mainly due to a certain deck that surprisingly enough still held some shine after so long. That deck, my Pokémon players, was none other than Ho-Oh/Salazzle. Now granted, I did not face any Zeraoras, Raichus, or Granbulls, but rather a whole slew of Rayquaza decks among other things (he was quite popular that evening). But anyways, the list I have showcased is a very slightly modified version which was piloted by Patrick Landis in a tournament last month, placing 16th at the event. Now his list did run Shining Lugia, which I took out altogether in favor of a single Wishful Baton. Reason being: knockouts. If your Ho-Oh GX falls and either you failed to take enough prizes for Salazzle to sweep, or you have no other way of setting up another mon safely, you are in major trouble. In a format where single prize attackers can bounce back like those Greninja BREAK days, your GX decks cannot afford to slow down in any of those matchups. Wishful Baton at 1 might seem like a minuscule amount, but if you should see it in hand before the opponent takes out the mythical bird, you have nothing to lose in attaching to Ho-Oh, or any attacker for that matter. Now most players that have seen countless Youtubers and sites before should know how this sort of deck works, ticks, etc. Your best start is a turn 1 Ho-Oh GX, utilizing Kiawe and the Leles you have in the deck to get the ball rolling. From there you knockout ‘mons and take prizes until your other charged up ‘mons (i.e. Salazzle GX) are ready to clean house. 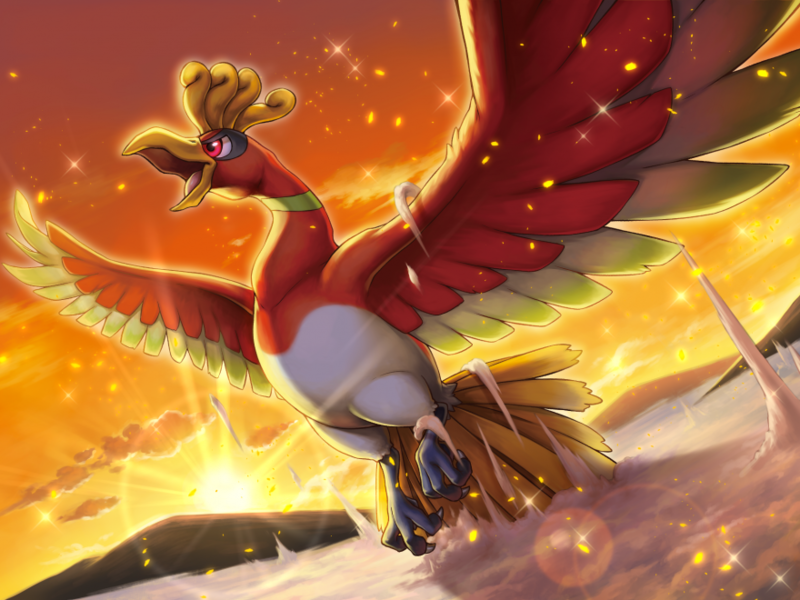 We do run the 1 of Turtonator GX for emergency accelerating, which is good because you do not want to find yourself out of attackers while siphoning energy out of the deck for Ho-Oh, so he’s solid. And Shell Trap isn’t a bad attack either if you want to soften up ‘mons, but mostly you will be attacking with Ho-Oh more often than not in the early game. Unfortunately, there are great weaknesses to such a powerful deck that is chalk full of raw might. From my experience alone, Malamar decks, more specifically the spread variants, are the mortal enemy of all Basic GXs, given that many decks (like Rayquaza) are easily whittled down after taking Shrine damage in conjunction with Flying Flips by Koko. Basically, if you get taken down a peg or two, Lugia and Deoxys will hunt your ‘mons down. 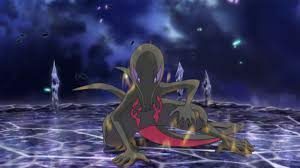 And Necrozma GX’s Black Ray attack… oh my goodness you do not want to have 3 GXs taken to Knockout range, because I’ve witnessed this myself from both sides: it’s a devastating attack. Then of course Granbulls and the other non-GXs: they can fight back and fight back harder. For them it’s a matter of taking out 3 of your attackers, whereas you the Ho-Oh player would need to take out all 6 of their ‘mons….1 step forward, 2 steps back. Unless you establish a big lead over them or RNG(esus) favors you, you will probably lose. Furthermore, strong Stage 1 GX decks like Zoroark can thwart your victory if you aren’t careful with their Field Blowers: against those decks you must be mindful of your Choice bands, especially since even Salazzle will not be knocking a Zoroark out at 2 prize cards remaining (I made the mistake of attacking one Zoroark without Choice Band once…cost me the game and I flew into a self-loathing rage). Lastly: weakness and Stage 2 GX decks. Lightning isn’t seen often…but given that Zeraora hits like a truck and even sleeper decks like Koko-Naganadel are formidable as is, you might wind up having to scoop. And while in theory Metal fears fire, with the new Solgaleo out and Metal Frying Pan available as well, you might wind up getting blown back by what would have been a relatively easy matchup. Again, just be on the lookout for those rare but very significant threats. To close things off… ever since Burning Shadows, this wonderful deck was a blessing in disguise to me. I’ve had the privileged of playing the TCG online for many years now and honestly Kiawe is the strongest energy accelerator I’ve ever seen hands down. If we ever get a powerful Tag Team GX whose weakness is negligible, this formidable Supporter will light the path to victory. But until then, Ho-Oh is Kiawe’s best friend (and Reshiram as well, but he’s not seen much, not yet at least). But okay… we do have Eevee and Snorlax GX coming out next year, and if somehow Fighting decks stay far away from this unlikely duo, you might have a powerful Kiawe target to work with. After all, Eevee and Snorlax Tag Team has Dump Press, which does 240 to evolution ‘mons, and with a Choice Band that’s a clean knockout against all stage 1’s and 2’s period. And their GX attack is nasty as well: Megaton Frenzy does 210 and if you add just one more energy in addition to this card’s steep 4 colorless attack cost, you shuffle-draw 10. Tempest GX with raw power built in. Does it have a chance? Well, we just have to wait and see. Anyways, if you are starting off in the game and want to try this build out, this is probably one of the best starting decks for many players. Yes you have your Garchomps, Swampoleons, and your Exeggutor decks, but this is a nice decent list to work with, given that there are no complicated plays like the ones from ZoroControl decks, no convoluted setups like with Decidueye/Ninetales. Just accelerate and smack things down: simplicity at its best, less is more, you know the rest. Previous Post:Zeraora GX Rayquaza GX up to 240 damage on turn 2! Thanks once more for showcasing the list: seen countless times by everyone, but it’s good to remember some older, yet still standard-legal decks in the midst of all the hype with the new toys we got in Lost Thunder. And there might even be some gems to look back upon later down the line as well. On an unrelated note: I was trying out Primarina, and Harvey…Primarina’s ability only allows you to make an extra attachment once more while she’s out. Even if you have more than one Harmonics Primarina out, the game will only allow one more attachment. So to those that are interested in a Primarina GX deck, you might just want to stick a sole copy of her in there (assuming there’s any Primarina GX players left at this point), annnnnd for everyone else that still feels curious about Harmonics Primarina: look into some mons that can go up for a Water and Colorless attachment. Beartic for example can get up and running a bit more smoothly with Primarina’s help, as well as the GX countering Alolan Ninetales that can easily dispatch Blacephalon with a Choice band. Plus you have beacon from Vulpix so setup isn’t too difficult. Then there’s Huntail with Dangerous Bite for 120 on Basics (but it has 110 HP so ehhhh). Is it still unique? Yes, and I do believe it should be held onto for whenever the time comes for it to be used….Alolan Ninetales GX might utilize it, but who knows. Surprisingly enough: I never got the chance to play with Ludicolo. Yes I know he’s probably outclassed by a lot of things now, but maybe there’s something going for it. Maybe someday. Yep not a glitch for Primarina the ability doesn’t stack. It’s still good though and effectively turns two attachment ‘mons into single energy attackers. Arrow pointing down on Ludicolo. It isn’t nearly as good as Swampy. A lot of people tried to recreate that Ludicargo deck back in August and it flopped for everyone. I played probably 15 or 20 games with it back in August and I don’t think I broke .500. That’s true on the Primarina, but a stage2 tho…that’s kinda off putting, and grass weakness is a bit of a bummer. Still, interesting nonetheless. And Swamperts good as a draw supporter. As an attacker however, I feel that Ludicolo shines, given that unlike Swampert you don’t need to stack 3 water energies on him, but rather DCE and aqua patch up Ludicolo. Furthermore there are more decks that require more benched mons than without and because of that, Circular steps with a full bench on your part and an active mon on your opponent’s end starts off at base 130. From there, 10 more for the rest of your opponent’s pokemon and there ya go. Idk, I think I’d like to try out something like that sometime. Problem I have with the deck would have to be the momentum. With decks like Malamar and Blaziken, once they’re up, you get attackers up sooner and sooner. With Ludicolo….you’re reliant on Aqua Patches and the DCE/Counter energy attachment. If anything goes amiss, yikes. And then of course the shift in the format: more and more non-GX decks just mean more grueling matches where you must take 6 prizes, one at a time…a shame. Well, I’ll still try it sometime. On an unrelated note: most frustrating play I encountered last night: Played Altaria, Bright Toned, thought I was safe against Dusk Mane/Magnezone, opponent proceeds to Timeless GX, swap into Dusk Mane on her extra turn, Meteor Tempested me. Needless to say, I was genuinely pissed. Altaria, Dragonite, White Kyurem GX, Salamence GX, etc….I honestly have no idea why they were hyped up so much. If anyone does want to play with Dragons, just get one of the Basic Dragons, slap it in a surprise Solgaleo GX deck to nullify weakness, and there’s a deck, and after that trail of though I miss Giratina EX: Chaos wheel was the bane of Megas and Stadium counters among other things. And special energy users were punished.